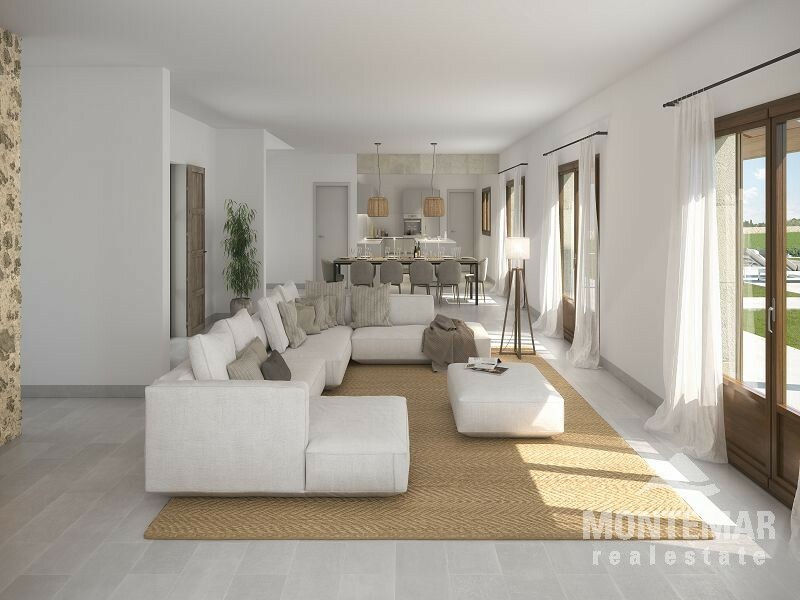 This country house is characterized by its high quality construction and enjoys the calm location between Alquería Blanca and the idyllic fishing village of Porto Petro. A straight, clean architecture and modern technical equipment harmonizes perfectly with materials such as sandstone, marble and natural stone walls. On the ground floor, the house disposes of a spacious, bright and friendly designed living-dining area with fireplace and open kitchen, an adjoining utility room, a bedroom with en suite bathroom and a guest toilet. 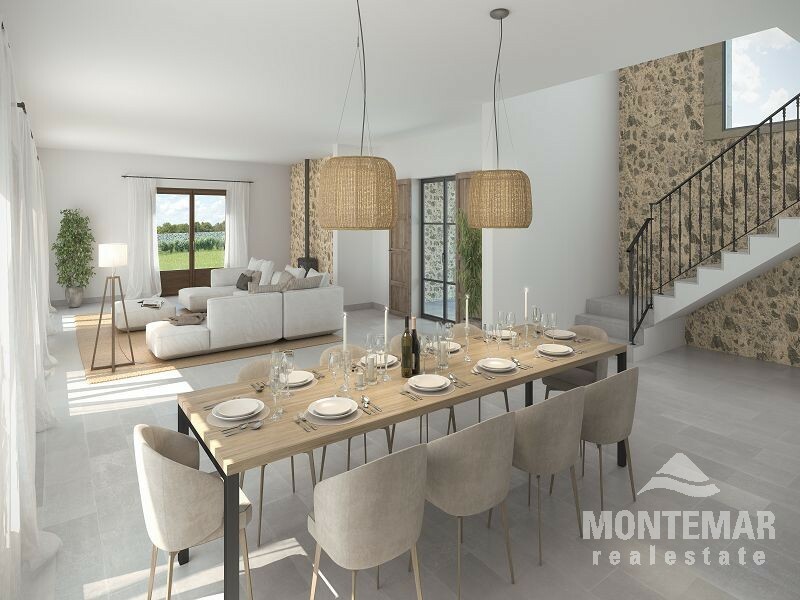 The upper floor houses 3 bedrooms with en suite bathroom and 2 terraces with beautiful views over the countryside to the sea. Technics: city electricity, city water, air conditioning in bedrooms, underfloor heating, automatic irrigation. Alqueria Blanca is a very friendly village that is a popular place to visit because of its charm and friendly inhabitants. Bars and restaurants as well as small shops form around the small "Plaza". The weekly market, which takes place on Tuesdays in the Plaza, offers fresh fruit and vegetables as well as all kinds of food for the household. From Alqueria Blanca a road leads directly to the beautiful Mondrago Bay. Both Santanyí and Porto Petro can be reached in 5 minutes, the 18-hole golf course Vall d'Or in approx. 10 minutes. Palma and the international airport are only 45 minutes away.